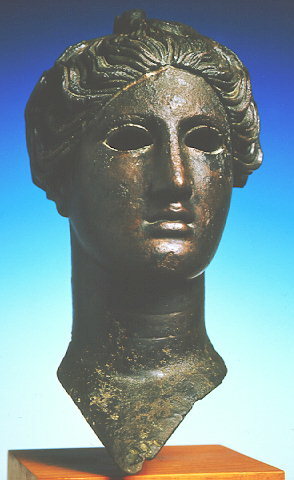 Bronze head of Nike. The head of Nike (Victory) was once covered with sheets of silver and gold and the eyes were inset. Dated to ca. 425 B.C.